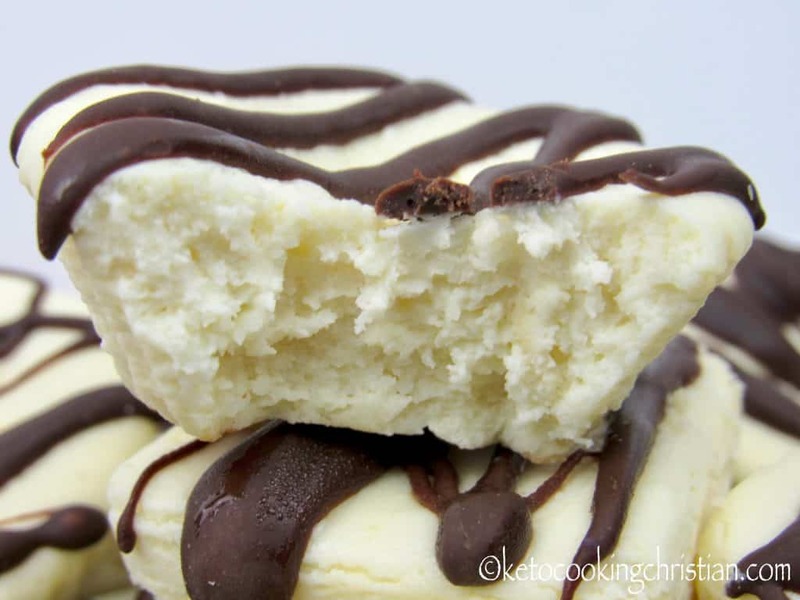 If you like cheesecake and are looking for a quick high fat snack to satisfy your craving for something sweet, you will love these Cheesecake Fat Bombs! I actually wrote this recipe for my best friend, who sometimes struggles with nighttime sweets cravings. 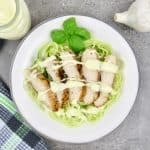 She is often challenged with not having enough healthy fats, so this recipe helps her in both areas! 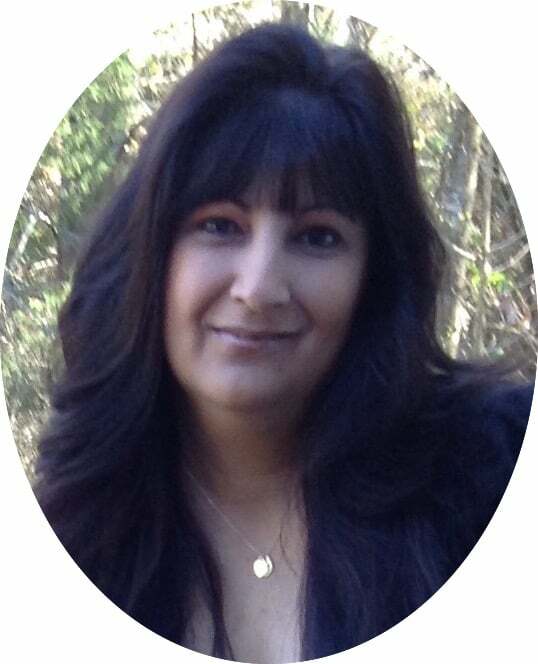 I delivered them to her at lunch yesterday and I’m happy to report she thought they were “phenomenal”! What I really love about these is that they freeze beautifully! 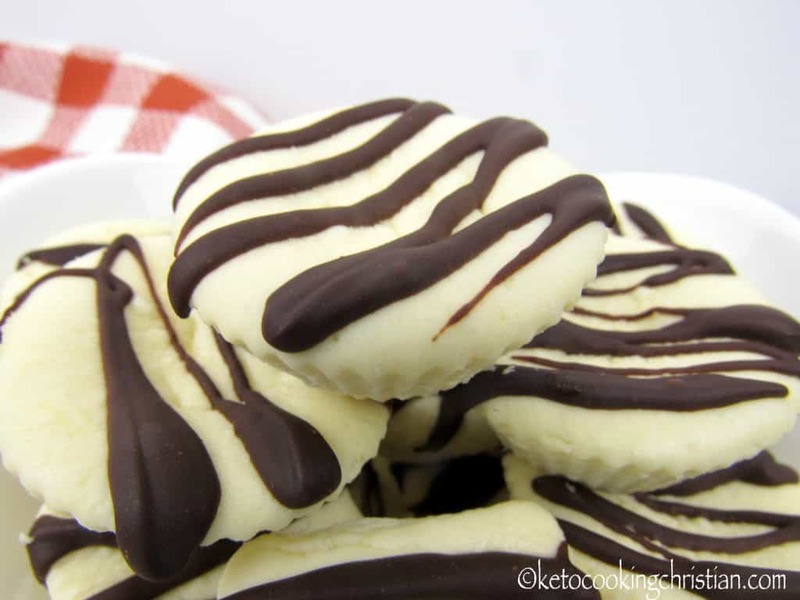 So you can make a batch, pop some in the freezer for later and whenever you need a small bite of something sweet, viola you have some already on hand! 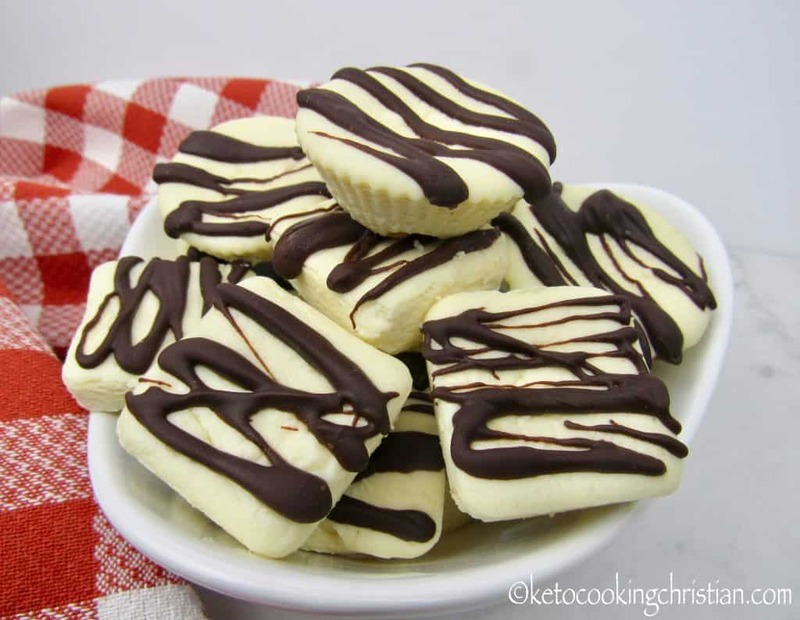 A very easy to make cheesecake dessert that’s Low Carb and Keto friendly. 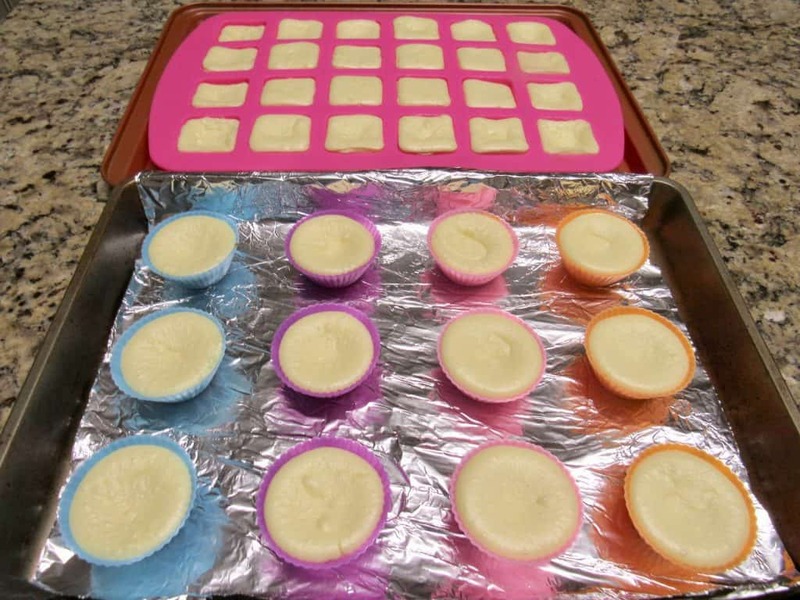 Just a few simple steps and you will have wonderful little bites of cheesecake goodness! 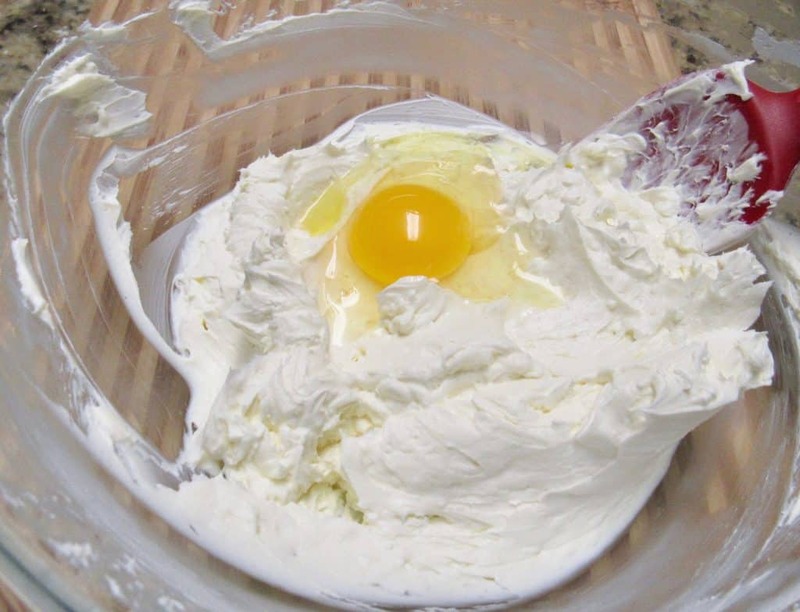 Add the cream cheese and sour cream to a large mixing bowl and whip it using a hand mixer (or stand mixer). 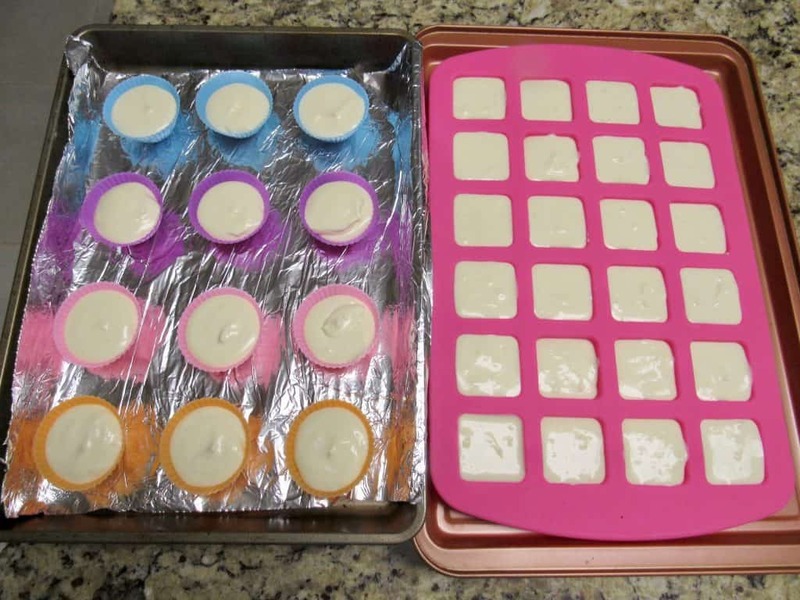 Using a mini cookie scoop or melon baller, scoop the batter (it will be loose) into the fat bomb molds and bake for 15- 20 minutes or until set. 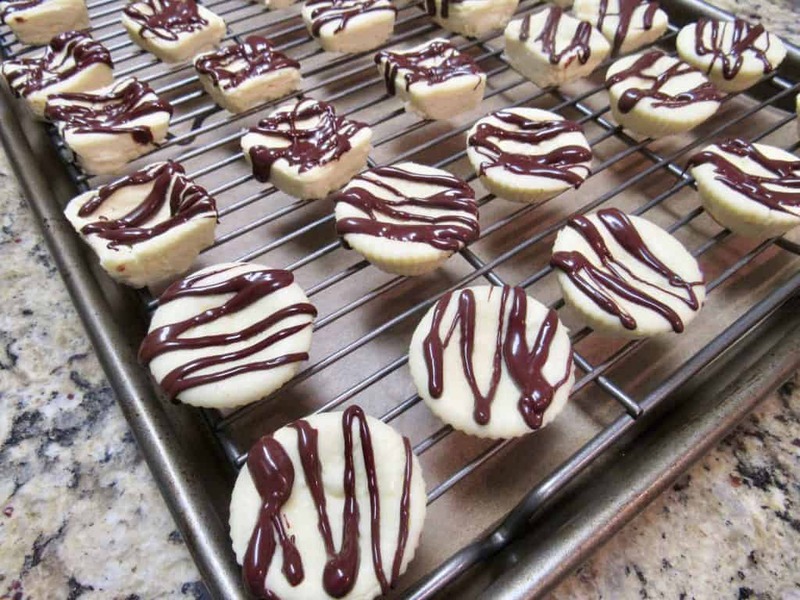 The very center will still have a slight jiggle to it, do not over-bake these. Mine took exactly 20 minutes. 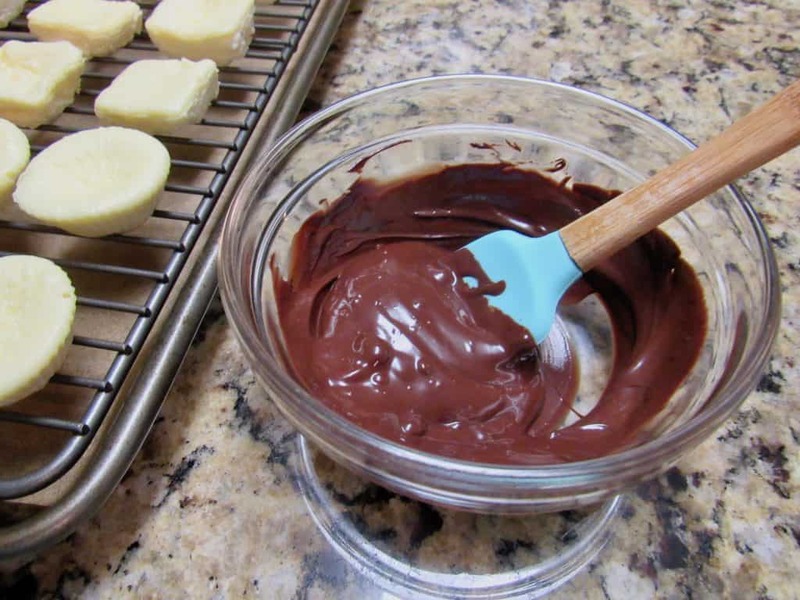 Optional: Melt 1/3 cup Lily’s dark chocolate chips (or your favorite sugar-free chocolate) with 1 1/2 teaspoons coconut oil in the microwave for 30 seconds (or until melted) and stir to combine. Drizzle over the tops of the cooled fat bombs and chill in the fridge to set. 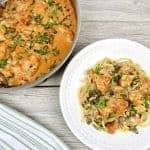 Store leftovers in the fridge for a few days or in the freezer. Note: These are not overly sweet, so if you want them to be really sweet, add a little more swerve. 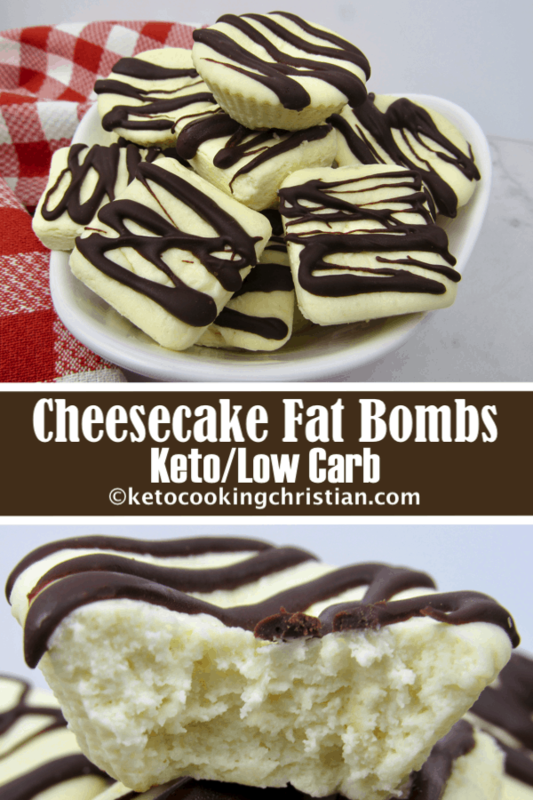 Check out my other Keto Cheesecake Recipes! 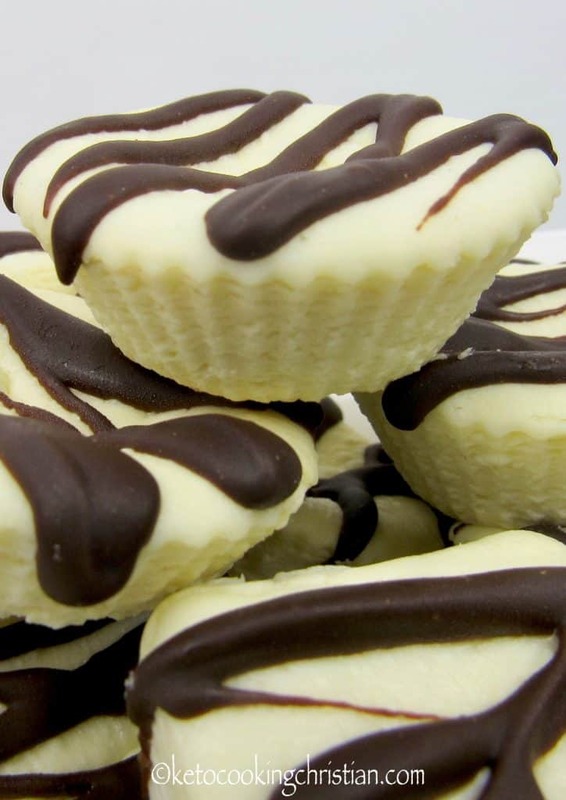 Smooth and creamy cheesecake bites loaded with healthy fats to satisfy your sweet tooth! 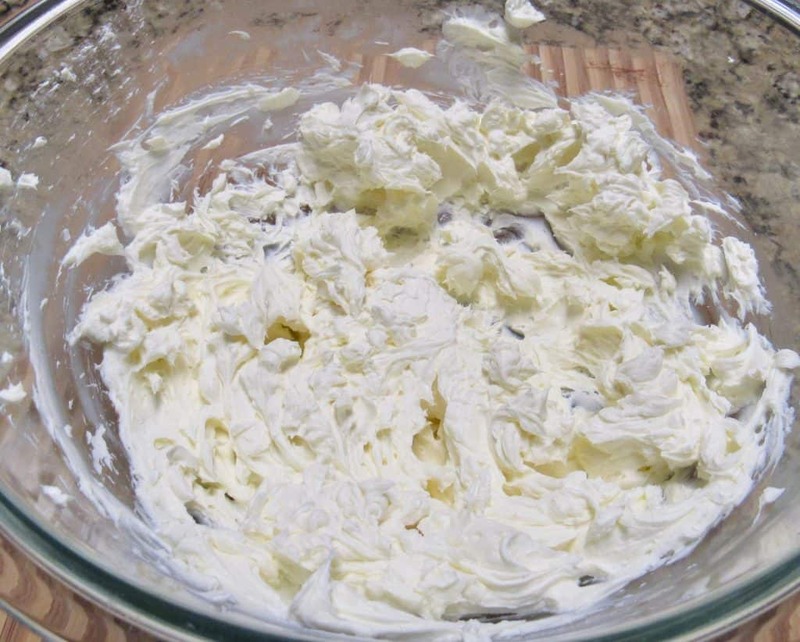 Add the cream cheese and sour cream to a large mixing bowl and whip it using a hand mixer (or stand mixer). 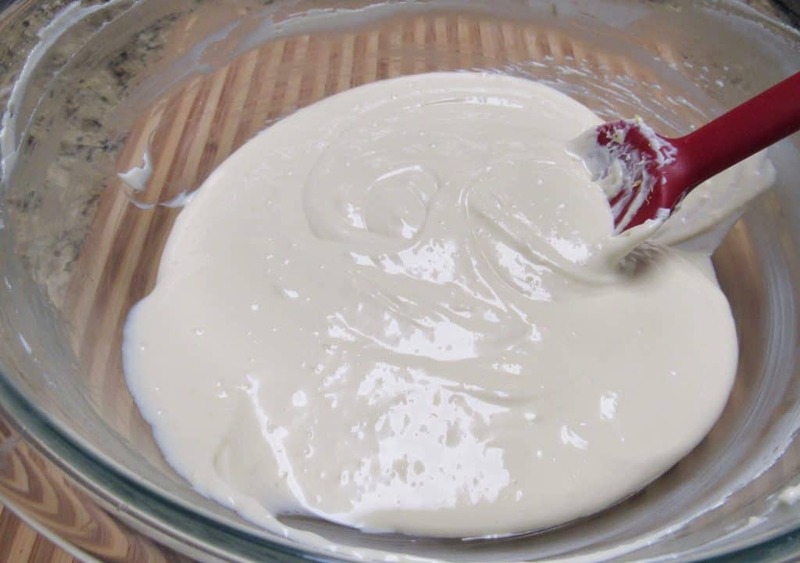 Add in one egg at a time and continue mixing. Mix in the rest of the ingredients, until well combined. 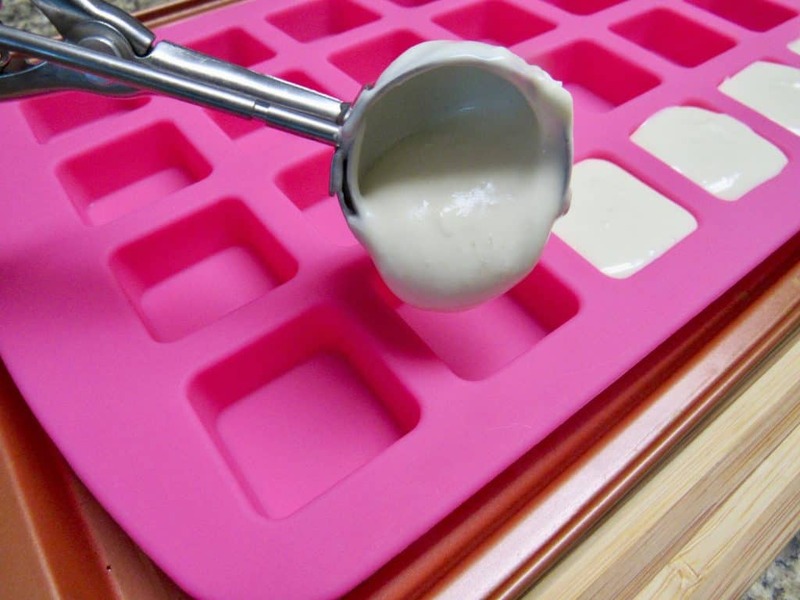 Using a mini cookie scoop or melon baller, scoop the batter (it will be loose) into the fat bomb molds and bake for 15- 20 minutes or until set. 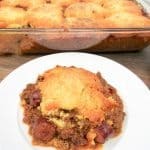 The very center will still have a slight jiggle to it, do not over-bake these. Mine took exactly 20 minutes. 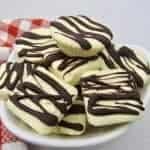 Optional: Melt 1/3 cup Lily's dark chocolate chips with 1 1/2 teaspoons coconut oil in the microwave for 30 seconds (or until melted) and stir to combine. 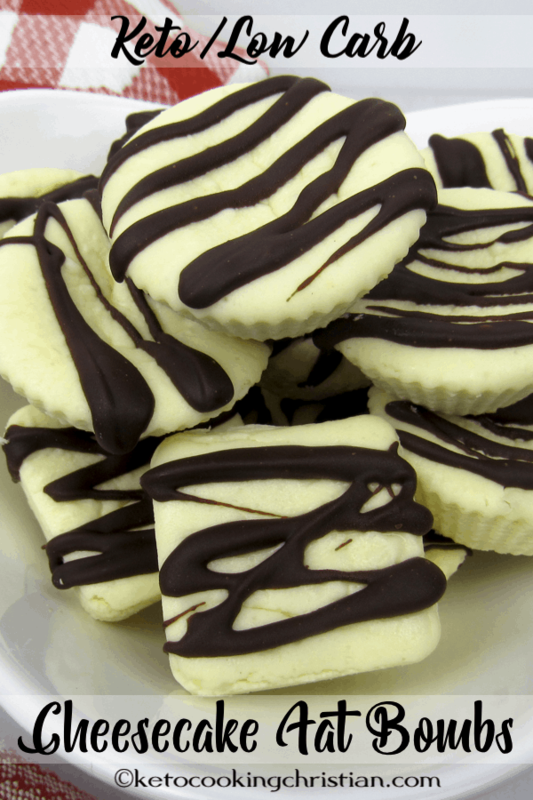 Drizzle over the tops of the fat bombs and chill in the fridge to set. These are not overly sweet, so if you want them to be really sweet, add a little more swerve. *Macros do not include optional chocolate topping. Please be sure to adjust according to the topping you use. Where do you find sugar free chocolate chips? I buy them locally at a health food store, but they also sell them at Publix, Kroger (online delivery) or you can order from a number of online stores. It’s 1 1/2 teaspoons of coconut oil. 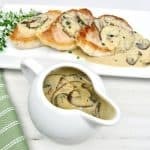 Sorry for the confusion, I’ve edited the recipe! I’m out of Swerve could i use liquid stevia?? Hmm, I’ve never tried making them with liquid stevia, so I wouldn’t be able to give you measurements or know how they’d turn out sorry. 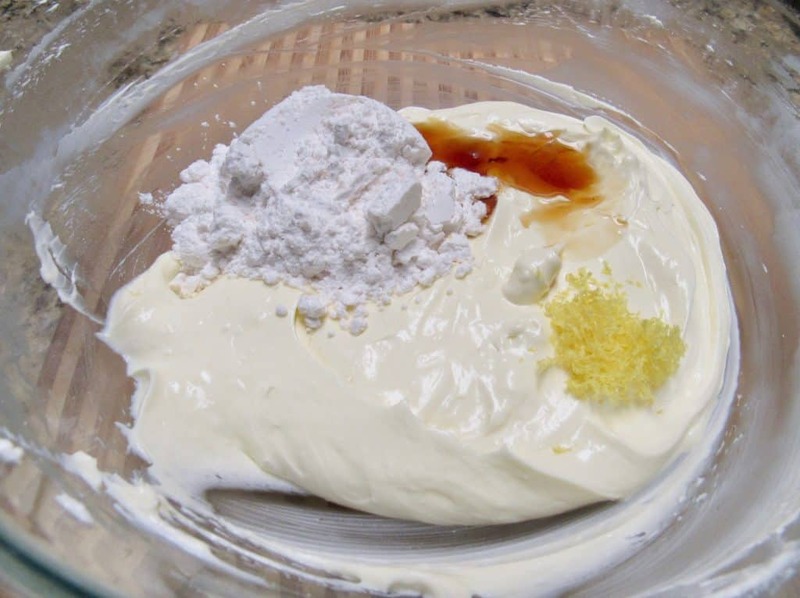 If you have granular Swerve or erythritol, you can grind it to a fine powder to sub for the Swerve confectioners, if that helps. These are awesome! Thank you for posting. I didn’t have Swerve confection sweetener and used regular Swerve (b/c I was lazy and didn’t want to process the Sweeve into powder), and they turned out fat-bulous! My husband even likes them. Glad you and your hubby enjoyed them! We love them too, they are one of our favorite!